Healthcare organizations face incredibly complex problems as they try to navigate the transformation in healthcare. Providers face these changes boxed in by the pressures from regulatory groups, dropping prices from public and private payers, and increasing demands from consumers around convenience, transparency, and connectivity of care. Traditional vendor-supplier relationship models provide one more point of pressure across the provider system, but they don’t have to. In these disruptive times, providers and vendors will need to work together to transform both the care model and the business models that support it. Vendors who offer technologies and services to health systems must consider how to ensure those tools are used appropriately to deliver the intended results, and providers will need to choose their ‘partnerships’ carefully, to ensure they select an organization that can help them integrate the technologies, people, and process to transform their care model and financial situations. Is Your Health System Ready for a Different Approach? A critical consideration for health leaders when seeking a partnership to share risk is their own willingness to work in a win-win scenario and to change their organizational approach to buying and implementing products and services. Many organizations have executive-level interest in transcending the buyer-supplier model to alleviate the increasing pressures; however, they struggle to find an approach that enables meaningful engagement with a vendor to achieve success jointly. The traditional “tell me what you need” (vendors) and “tell me what you can do for me” (health systems) way of doing business is not up to the challenges in healthcare today. True partnerships will require leaders to discuss the capabilities of both organizations; align around intent, governance, and the business model they will work under; and replace the traditional supply chain process with a roll-up-your-sleeves-together approach. 1. The CEO and at least one or two other senior leaders shared a clear understanding of the need to work differently with a vendor if they were to truly form a partnership. All had the willingness to discuss, shape, and shepherd a non-standard process within their own organization to achieve their goals. 2. The executive sponsors allowed for working sessions and meaningful discussions to jointly shape the potential business model, governance approach, and operational integration of resources that would be needed to be successful. 3. The executives recognized that the process to develop an outcomes-based relationship takes time and investment from both organizations and careful consideration around what makes an organization a strong potential partner. What Should Healthcare Leaders Look For In a Transformational Partner? Given the complexity and investment required to craft a true outcomes partnership, healthcare leaders need to quickly narrow the field and carefully select the organizations they will work with. There are three things I believe every executive should evaluate before considering a partnership to help them achieve their goals. 1. It is critical to pick an organization that aligns across values and culture. This may seem obvious but it is often overlooked in the traditional buying process. When purchases were focused solely on the acquisition of a technology, software, or service, it was less important to evaluate the way a vendor works culturally and the values they have instilled in their people. In outcomes relationships this will become a critical enabler to success or a crippling challenge if the two organizations are misaligned. 2. It’s no longer about buying a product or a service for a particular point of care; it’s about finding a partner who shares your vision for the enterprise and offers broad-ranging technology, expertise and resources to help you determine the right solution to your healthcare challenges. Here’s just one example. In imaging, the emphasis on nuanced incremental capabilities, such as the difference between a 64-slice and a 132-slice CT, is being replaced by discussions that harness analytics to help clients determine the most effective use of a CT in the system of care – the right CT, at the right time, and all will be transcended by how imaging should be used in the future, the most appropriate use of technology in the care plan for the best and lowest cost outcome. It will take partners with expertise and broad capabilities in CT technology, asset management, and data and analytics and with the vision to define the future to help providers align the right resources to provide the best clinical outcomes in the most efficient manner possible. That mindset means vendors need to be open to working with additional partners when necessary. That’s core to an outcomes-based relationship: the willingness to bring in the right resources to solve the problem in a meaningful way, and the wherewithal to do so over time as a partner to ongoing transformation. That’s one reason leaders should be looking at organizations that have the technology and software capabilities to provide the products and services required to deliver care, and the focus on innovation and broad capability building to allow them to meaningfully support unconventional approaches and execution of outcomes in the environment of care. They will be best prepared to help you find new answers to stubborn problems as well as challenge you to consider the healthcare organization you want not only today but five and ten years down the road. 3. Leaders need vendors who are willing to commit to new business models that share the risks providers today have to face alone. True partnership-minded vendors assist not only in delivering outcomes but in activating the outcomes. They accept risk and work in concert to achieve specific outcomes, and will commit to specific financial guarantees. The environment is changing so rapidly that what you buy today may be irrelevant in 18 months unless the vendor is helping you prepare for market trends, coming legislation, and other vectors of change in healthcare. Aligning to outcomes means that a vendor commits support even as legislation and the environment are shifting under your feet. For example, vendors can’t install software and walk away; they have to be willing to connect their software into the work being done to provide care, connect to existing technologies and software as an integrator, and to helping health systems adapt to changing conditions along with the client in order to achieve the goals jointly defined. As a result, the role of the supply chain in changing and the traditional contracted product/vendor relationship is transforming. Outcomes alignment is about delivering value to clients in specific ways that will be unique to their environment, their market, their payer mix, their current situation, and their strategy. In the new world of risk-sharing, “I buy these features and benefits and you sell them to me for X price” has to become “We have a relational agreement in which governance defines how we’ll work together to navigate a changing environment and the implications it has on the agreement we’ve put in place.” The vendor organization has to be committed to aligning their resources and the resources of other organizations to help you navigate the changing environment rather than simply billing you based on delivering a product. The shift to outcomes-based relationships with true risk sharing is going to take time - a multi-year transformation. Organizations that get on the pathway now are going to be well ahead of the game as the complexities continue to grow. Although the alarm bells have been sounding for years about the shift to value-based payment, the majority of healthcare organizations are still operating as though it will always be a fee-for-service world. As that shift starts to accelerate, organizations that are not forming partnership relationships with vendors who can help them across the care continuum will feel pressure from all sides and find themselves squeezed financially with limited avenues to achieve transformation. i Evolution of Transactional Vendor-customer Relationships into Shared-risk Partnerships (2016), Frost & Sullivan. Helen Stewart, Managing Principal of GE Healthcare Partners, leads client relationships, practice strategy, business development, and day-to-day operations. 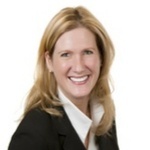 She brings 20+ years of experience within the healthcare industry, focused on strategy activation and execution, management and leadership strategy, quality, compliance, business development and operations. She has an extensive track record building successful strategic relationships and helping healthcare leaders solve the industry’s most difficult challenges.